What Was the Knesset Speaker Doing in Moscow? Gary Dreyer was a Tower Tomorrow Fellow in the summer of 2017. After nearly three years in Siberian gulags, Yuli Edelstein found refuge in Israel, where he rose to become speaker of the Knesset. Now, this former prisoner of Zion is advocating for closer ties with the country that once outlawed his beliefs. It was a scene that would have left the grandmothers of everyone seated in that hall rolling over in their graves: a slim man sporting an elegant, jet-black suit and a kipa, stood before the Russian Senate and addressed them in Hebrew. 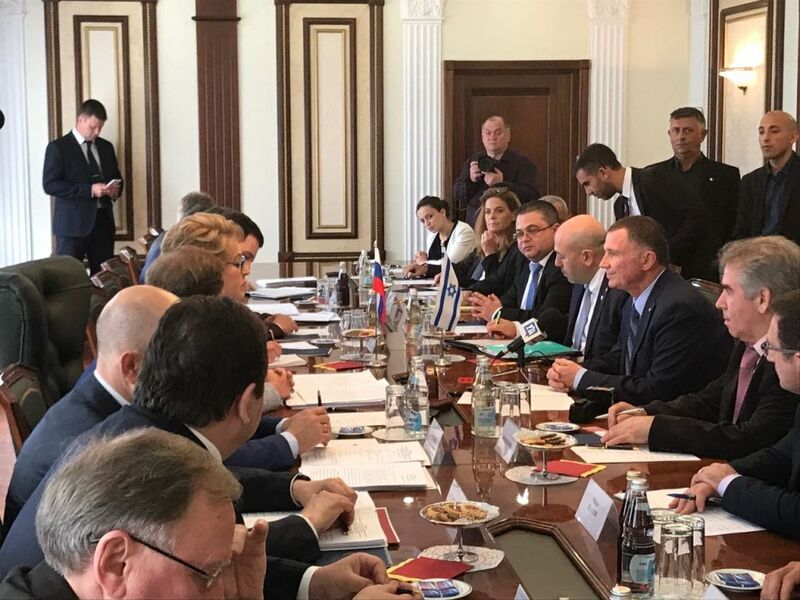 The climax of Knesset Speaker Yuli Edelstein’s historic, three-day visit to Moscow was a scene that would have been not only unimaginable only a few years ago, but completely and utterly impossible for many decades before that. Edelstein’s itinerary in Moscow, which in addition to his speech before the Federation Council, included various meetings and a “nostalgia tour” of sights from the Knesset Speaker’s past, was of enormous importance on several fronts—all of them complicated, intertwining, and extraordinary. Beyond its symbolic importance, the Knesset Speaker’s return to the city where he was arrested more than thirty years ago for teaching the official language of the country he now calls home raised questions about the nature of Israel’s relationship with Russia. In travelling to Moscow, Yuli Edelstein, the ex-refusnik, did more than deliver an eloquent and widely reported speech, hold high-level meetings with Russian officials or come face-to-face with his past in the prison where he spent time awaiting trial or the courthouse from which he was dispatched to a gulag. With his visit, Edelstein raised questions about the nature and aims of Israel’s relationship with Putinist Russia, a topic with tremendous historical implications that tears open centuries-old wounds, and which presents me, as a fierce American patriot and unapologetic Zionist (whose first language happens to be Russian), with a unique dilemma. Edelstein, Sharansky, Sakharov, Nudel—their fight for the dignity, liberty, and human rights of their people, my people which I learned of at home, left as massive a mark upon my conscience and political identity as Washington, Jefferson, Franklin, and Hamilton’s fight that came two centuries earlier, a fight I learned to revere through my American, public-school education. To me, one could draw a clear arc between their beliefs and principles, as they were one and the same, and the goals of their respective movements were fundamentally aligned despite being two centuries apart, just as the interests and values of the United States and Israel were, in spite of completely different national identities and thousands of miles of distance. The struggle for the liberation of the Jewish people from the second-most-recent iteration of the Russian state, which in its various forms spent more than two centuries trying to eradicate Jewry both physically and spiritually, was an inseparable part of the movement to defeat the Soviet Union and win the Cold War for the United States and Western values. And the United States, in turn, was also the guarantor of the continued existence of Israel as the democratic, nation-state of the Jewish people—the two of them aligned with other democracies against states which continue to deny basic rights to not only their own peoples, but campaign relentlessly to deprive others of their existing freedoms. The struggle for the liberation of the Jewish people from the second-most-recent iteration of the Russian state was an inseparable part of the movement to defeat the Soviet Union and win the Cold War. So what in the world was Yuli Edelstein, crusader for human rights and de-facto Cold Warrior, who ought to know more about the difference between good and evil than virtually anyone else on the planet, doing at the seat of power of a regime that has done more than any other to undermine Israel’s most important ally and make the world less safe for Western values? Why was the Speaker of the Knesset, in one breath, raising the alarm about the threat which Iran, Russia’s most important partner in the Middle East, posed to Israel’s, and indeed the world’s security, and in the next shooting a smile at Valentina Matviyenko, Putin protégé and chair of the Senate who sat crooning atop the dais? While engagement with Russia is likely a necessity given the realities of the Moscow-Tehran-Damascus, and the consequences which that axis poses for balance-of-power equations throughout the Middle East, it is nonetheless critical to realize the fundamental perils of the game Israel has chosen to play through engaging a partner as unreliable and untrustworthy as Russia. I watched the video of Edelstein’s speech several times. Each time, I found myself having to hit ‘pause’ every few minutes to process what I was watching. Speaker Edelstein began by describing his experiences, thirty years ago, as a young Zionist activist, mentioning his arrest and imprisonment in a gulag and how systematic, Soviet anti-Semitism fueled his desire to make Aliyah. He spoke of Soviet support for Arab countries’ fight to wipe Israel off the face of the earth, and of the enormous perseverance of Israelis and the Jewish people, before contrasting that past with the present partnership between Israel and Russia, particularly emphasizing the friendships between their respective peoples and governments (on the parliamentary level, especially). From such language, one could imply that Edelstein was speaking to the legislature of a fellow democracy, which had long ago left-behind its authoritarian traditions, dealt with its difficult and unpleasant past, and moved into the age of liberalism. Yet, as Edelstein, and every other inhabitant of that room knew fully well, nothing could be further from the truth. Yuli Edelstein addressing the Russian parliament in Moscow on June 28, 2017. For the last seventeen years, the reins of the entire Russian state have been firmly in the grasp of one man, whose tactics and worldview were shaped by his years of service in the KGB. Modern Russia is the successor state to the Soviet Union in not only the legal sense, having inherited the USSR’s seat on the Security Council and its treaty obligations, but also in the ideological one. Just as the post-war USSR left behind its ideological internationalism and pursued coerced, systematic Russification of its ethnic minorities, Vladimir Putin’s government has embraced a new version of Russian nationalism that is aesthetically different, but woven from the same cloth. Today’s Kremlin might not forbid Jews from learning Hebrew or put up memorials to Jewish victims of the Einzatzgruppen that fail to mention that they were killed for being Jews, not “Soviet citizens,” nor does it engage in blatant demographic terrorism, shipping thousands of ethnic Russians to “problematic” regions of the country to alter the ethnic balance, but it does much else. Today, the Kremlin pushes policies designed to spur population growth among white, ethnic Russians and the state’s and Russian Orthodox Church largely operate together in lockstep, promoting the official line on everything from the Donbass conflict to the repression of sexual minorities. As far as the Kremlin is concerned, Russia belongs to white, blonde-haired, blue eyed, practicing Eastern Orthodox Christians, to the exclusion of all those who do not check these boxes. For they will always be foreign and ‘the other’ in the eyes of the state and the apparatuses under its control, which besides the church include the media, judiciary, most institutions of civil society, and massive swaths of the economy. Besides its inherent xenophobia and illiberalism, which has been well documented, it doesn’t take very serious intellectual gymnastics to jump from those beliefs to ancient prejudices and Jew-hatred. Indeed, Edelstein didn’t have to look far, if he wanted to, to find the ideological heirs of the ‘Black Hundreds’ of late Imperial Russia, responsible for the deaths of thousands of Jews in the pogroms of the late 19th and early 20th centuries. Less than six months ago, the Deputy Speaker of the lower house of the Russian Parliament, Petr Tolstoy, blamed Jews for the destruction of Russian Orthodox Cathedrals, alluding to the libelous (and disproven) myth of Jewish Bolshevism, which many Russian nationalists blame for the alleged humiliation of the Russian nation. Meanwhile, the viciously anti-Semitic ideas of philosopher and one-time employee of the Nazi Ministry of Propaganda, Ilya Ilyin, have gained considerable traction within the Kremlin, as Vladimir Putin himself has sent all of Russia’s regional governors Ilyin’s books as “mandatory reading”. Yuli Edelstein meets with his Russian counterparts in Moscow on June 27, 2017. On the geopolitical front, much ink has been spilled over Israel’s “growing relationship with Moscow.” Yet, coexisting and taking rational steps to prevent a potentially catastrophic war in Syria between Israeli and Russian forces is one thing. Talking up partnership and giving legitimacy to a regime whose ideological foundation and values are fundamentally hostile to Israel, Zionism and the Jewish people, is quite another. The strategic, long-term cooperation which Edelstein brought up in his speech and media interviews in Russia, specifically citing the Russian Parliament and the Knesset as good venues for establishing it, is frankly a waste of time. For the last seventeen years, Russia has been an autocratic society, where virtually all power rests in the hands of President Putin, who occasionally chooses to indulge some of his close associates with limited amounts of authority. Both house of Parliament serve as mere rubber stamps while Putin and his key ministers and aides, as well as the business leaders close to the President, leave no doubt as to who is really in control of the country. 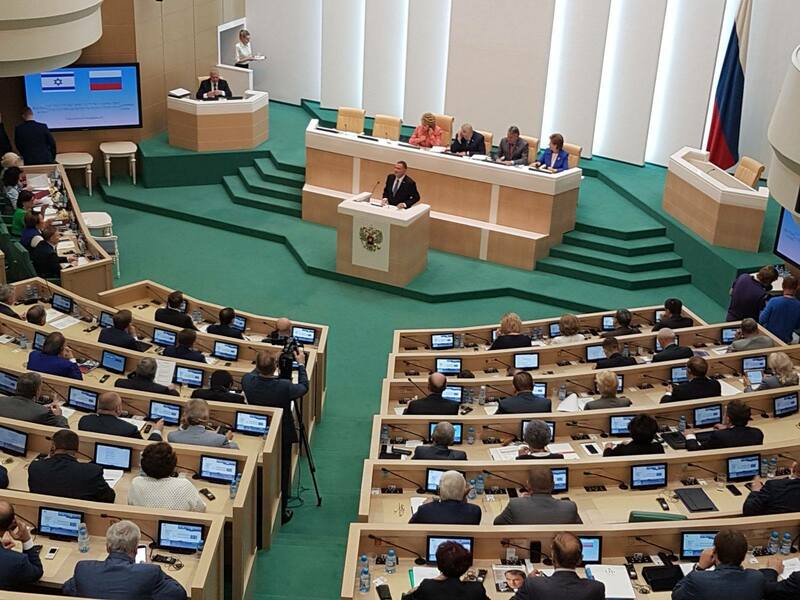 Indeed, the Federation Council, which is oftentimes referred to as the Senate, is known as a largely powerless and irrelevant body that exists solely for show, while the Duma, historically the more prominent lower chamber, is packed full of corrupt, Putin cronies. While MKs have legitimacy, authority and the capacity to genuinely influence policy, their Russian colleagues simply don’t, and it would be delusional to assume that they do. Israel and Russia’s strategic goals in the Middle East, and throughout the world, continue to be fundamentally divergent, not only because of different interests in the region and around the world, but because of completely contradictory values. Israel is a robust democracy, where the rights of ethnic and religious minorities and LGBT individuals are respected, while Russia and Russian society has grown increasingly repressive, drifting unapologetically towards traditional ethnic nationalism and historical revisionism. As press reports following Edelstein’s meeting with Russian Foreign Minister Lavrov made clear, the two countries have irreconcilable differences over the strategic threat which Iran poses not only to Israel, but to the stability of the entire region. Furthermore, not only does Russia continue to provide critical support to the Iranian regime, and fights alongside its Hezbollah-backed forces in Syria, and in an interview last month, the Kremlin’s ambassador to Israel refused to acknowledge Hamas and Hezbollah as terrorist organizations, despite the fact that they have targeted nearly 160,000 Russian citizens living in Israel. 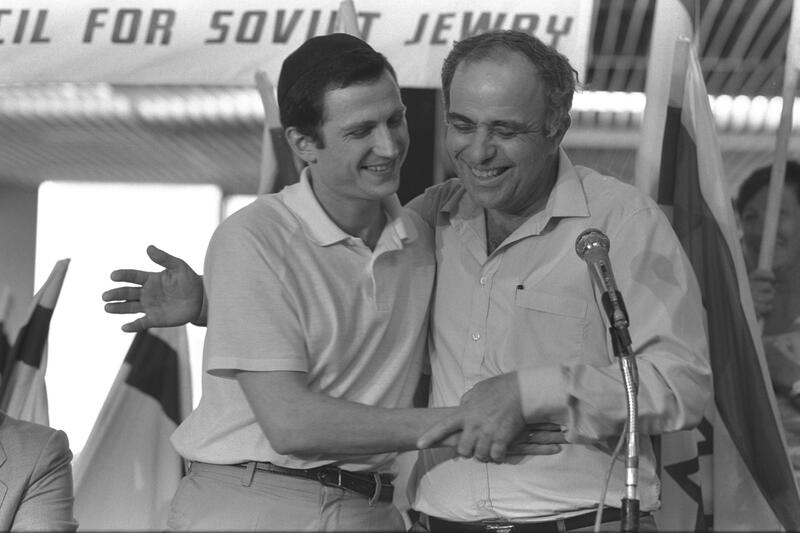 Minister of Absorption Ya’akov Tzur (R) embracing prisoner of Zion Yuli Edelstein after his arrival at Ben Gurion airport, 1987. Developing closer ties with Russia, which has continued to indulge and embrace enemies of Israel and the Jewish people from Tehran to Budapest, would not only be a waste of time, but a major strategic blunder. 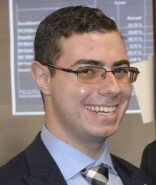 While active confrontation with the Kremlin by actively engaging against it in the conflicts in Ukraine and Syria would not be in Israel’s best interest because of the inevitably violent Russian response, seeking closer ties would damage Israel’s most important allies in Washington and Western Europe while upsetting emerging partners in Eastern Europe—countries that have provided critical support in international forums such as the UN. At the UN, Russia has proven time and time again that is beholden to the international community’s institutional anti-Israel bias, and to believe that the Kremlin would endanger its ties with Arab states and decades of institutional practices because of a charm campaign is laughably naïve. As for its relations with Washington, while the Trump administration initially showed greater willingness to work with Russia, and has made some statements indicating its desire for warmer ties with the Kremlin, its concrete policy actions have demonstrated much the opposite. Indeed, since taking office, President Trump’s administration has raised defense spending in Europe, increased troop levels in Poland and the Baltics (beyond the Obama Administration’s commitments), and continued to make public statements criticizing Russian actions in Ukraine and Syria, in addition to acquiescing to an even stronger sanctions regime. Meanwhile, French President Macron and German Chancellor Merkel have maintained their support for sanctions against Russia within the EU, and the British government continues to be the consistently anti-Putin in Western Europe. “I don’t want an apology from anyone. I don’t need it. These are not the same people,” Edelstein said when visiting the courthouse where in 1984 he was sentenced to years of hard labor in Siberia. The Speaker went on to deride the lack of “soul-searching in Russia,” pointing to the still-active Russian Communist Party talking up the legacy of Stalin. One may conclude that this rhetoric was merely sentimental, with a former prisoner taking a figurative victory lap around his former captors. However, they resembled a unique clarity of understanding and relation to the weight of history, albeit one which is somewhat incomplete. While the most senior leaders of contemporary Russia may openly no longer publicly spout anti-Semitism, and indeed, to quote my Ukrainian-born grandmother, “the nicest thing I can say about Putin is that he is not an anti-Semite,” and Russian state television’s Middle East reporting no longer carries commentary on Zionist baby-killers intent on committing genocide against Arabs, the Kremlin remains in both a strategic, and symbolic way, an enemy of the Jewish people, Jewish state, and Jewish values. The Russian government has unapologetically adopted the rhetoric and values of Slavophile, Russian nationalist groups who have targeted Jews for centuries. Moreover, the ideology of pan-Slavic, Eastern Orthodox unity against foreign and Western influences, which today shapes Russia’s foreign and domestic policy, also formed the core of Imperial Russia’s state ideology, and led to a host of repressions against the Jewish population, including forced conscription, religious persecution, and most infamously, pogroms. Thus, the glorification of Stalinism is only the beginning of the trend, even if it may be the scariest and the most successful, with 38% of Russians naming him as the “most outstanding person in history” in a survey conducted earlier this year. Putin, for the record, ranks second. The Kremlin has made no secret of its attempts to rehabilitate Stalin, and it’s attempts to weaponize European history, including the Shoah, to serve its own aims are long in the running. It goes beyond simply claiming the mantle of fighting 21st century fascists (commonly known as the government of Ukraine), but also extends to outright lies and the whitewashing of Soviet crimes, from the gulags, to the Holodomor, to the annexation of the Baltics states in 1940, and indeed, to the downplaying of Soviet anti-Semitism. In their past lives, Vladimir Putin, a former KGB officer, and Valentina Matviyenko, formerly a party apparatchik in St. Petersburg in the 1980s (a city which in the 1980s and 1990s became infamous for anti-Semitic street-gangs), were part of a political system which systematically targeted Jews. To assume that their fundamental beliefs have changed because several decades have passed and that the flags on their lapel pins look different would be a dangerous folly. To attempt a reconciliation with a government and society that continues to deny its past crimes is not only insulting to its victims and survivors (of whom Edelstein is unmistakably one) is woefully inappropriate and unnecessary. And honoring a repressive government that continues to engage in such activity with flattery and legitimacy serves Israel, and the Jewish people, no purpose. I recognize, of course, the nature of my place in expressing and writing this opinion. I have never put on an IDF uniform, endured an intifada, or had to spend days on end in a bomb shelter as rockets from neighboring countries flew overhead. The sacrifices of my extended family, family friends, and coreligionists in Israel are not distant from me on an emotional level, but they are in the most immediate (and threatening), physical sense. The government of Israel and its people have a right to conduct their own, independent foreign policy, which includes the right to have strategic disagreements with the United States. Yet, Israel has from its very inception taken on a unique responsibility for representing Jewish interests, defending Jewish history, and fighting in the name of those who it was unable to defend—all of it done with a clear and earnest moral conscience. The present government of Russia, though it may not terrorize or attempt to forcibly assimilate its Jewish subjects, is, undoubtedly, a threat to the lives of Jews today, and a living insult to the memory of thousands of others who are gone. While engaging with the present regime as a matter of necessity is reasonable, going beyond that is simply inappropriate. I do not condemn Yuli Edelstein, nor the government of Israel, for this visit or the Speaker’s speech. Indeed, I continue to admire Mr. Edelstein as an individual who may one day rise even further beyond his present position. But, I take it as a matter of duty to caution against rapprochement between the nation-state of the Jewish people, and a government led by men and women who idolize those responsible for centuries of torture and dispossession, committed against individuals of all ethnicities for so long.